Robert Lee "Bob" was born in Janesville, Wisconsin on May 13, 1930, to Christopher and Selma (Peterson) Judge. He was raised in Melrose, Iowa and graduated from Melrose High School. He served four years in the United States Navy during the Korean War. Bob later was a conductor for the Rock Island Railroad. In 1981, he opened Bob’s Tools, a family business still open today. 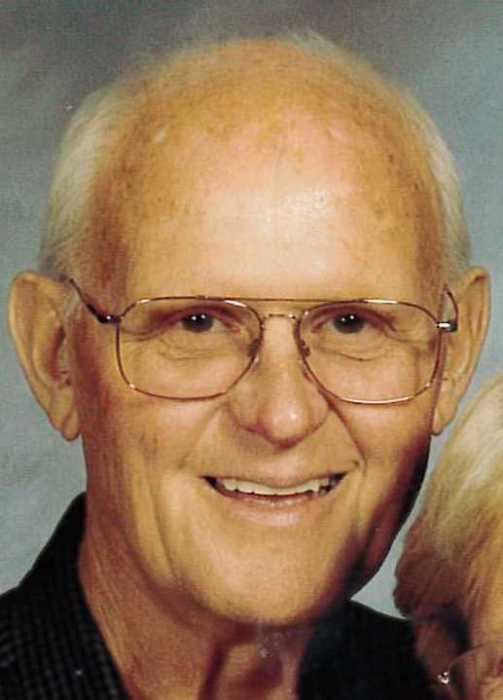 In his free time, he enjoyed many hobbies; playing cards, gardening, quail hunting, water skiing, playing golf, and dancing. He skillfully applied the same dance move to every song! Bob and Suzann enjoyed spending their winters in Arizona, where Bob enjoyed hiking, honed his golf game, and reigned as “The Shuffle Board King”. Surviving Bob is his wife, Suzann; four children, Jeff (Dana), Jim (Rhonda), David (Cheri), and Ann (Glenn) Van Treeck; a brother, Bill (Virginia); a sister-in-law, Nancy; 11 grandchildren, Adam, Chris, Casey, Bob, Ben, Janssen, Josh, Luke, Jacob, Claire, and Joe; 9 great-grandchildren; and a of host nieces and nephews. Bob is preceded in death by his parents and his brother, Chris.